John Nolan was born in Dublin in 1958 and lives and works in Dublin. He is a second-generation artist, having been exposed to art from an early age by his father. Over the past 35 years John has established himself as an international artist whose work is characterized by his use of vibrant colour. As an artist he has worked with fellow artists, poets, musicians, designers, on various commissioned artworks. In 2016 he started working, and continues to do so, with a fashion designer in Canada, with his stylised motifs being reproduced on their fabrics. An international river cruise company commissioned his artwork for one of their ships which was launched in June 2016 on the Danube. The same company has now re-engaged John to provide artwork to adorn their latest vessel, which will be the largest river cruiser in the world, due for launch in May 2019. John shares his passion for painting with many. In addition to teaching adult painting classes, John also participates in special projects at several elementary schools in the area. His work is easily recognizable, and is known throughout Ireland and internationally, having been exhibited in many countries. In 2003, he won the distinguished honour of representing Ireland at the Biennale Internazionale Dell ‘Arte Contemporanea in Florence, Italy. His work is in many public and private collections throughout the world. The subject of John’s work is colour. 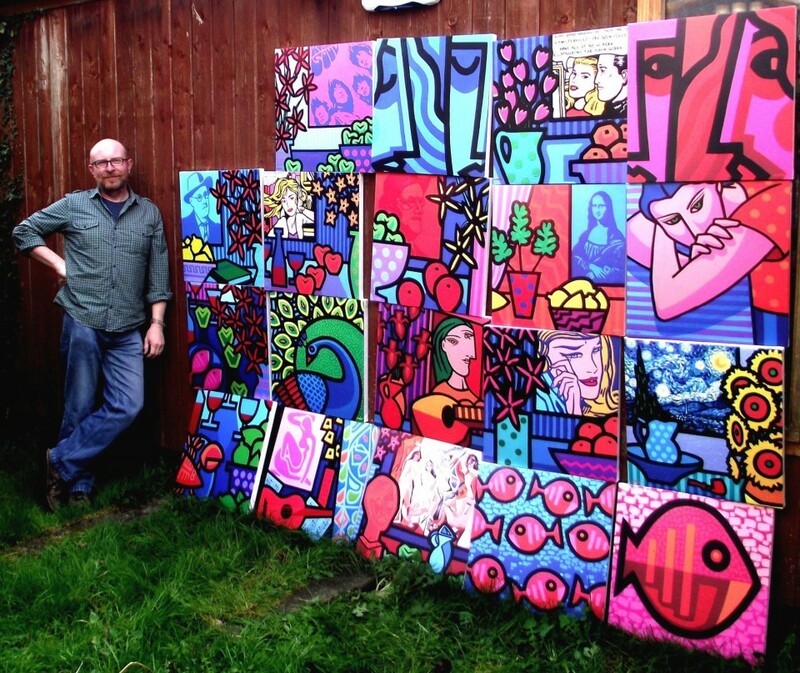 He explores colour through his stylized/ pop art, contemporary and abstract styles. In 2008 he started a series of stylised paintings – Paying Homage – this is a work in progress which pays homage to the great masters. His paintings have been inspired by many artists. His father, in particular, was a huge influence on and source of inspiration for his work. John’s paintings transmit a positive, upbeat feeling to the viewer.